Fully furnished apartment, 1 bedroom, 1 bathroom, living room, kitchen. 42 inch flat screen tv. Weehawken street parking permit provided. Public transportation minutes away including a 24 hour bus service to NYC on corner along with NY Waterway Ferry service. 1 mile to Route 495. 3 Miles to Route 3 and 3 miles to Route 95 NJ Turnpike. Wifi in apartment. $2000 deposit due to reserve apartment. $2000 per day. 50% of total due 48 hours before move in. 100% due before departure. Paypal option available. 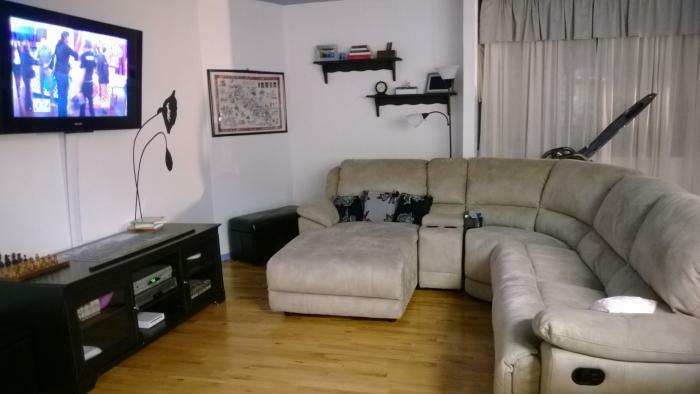 This rental is located in Weehawken, New Jersey 7086 and has 7 upcoming nearby events. 2018 US Open Golf and is located 83.4 miles away from Shinnecock Hills Golf Club. 2020 US Open Golf and is located 19.5 miles away from Winged Foot Golf Club. 2019 PGA Championship and is located 29.8 miles away from Bethpage Black Course. 2018 US Open Tennis Championships and is located 9.9 miles away from USTA Billie Jean King National Tennis Center. 2018 Hamptons International Film Festival and is located 97.3 miles away from Hamptons International Film Festival Office. 2019 Hamptons International Film Festival and is located 97.3 miles away from Hamptons International Film Festival Office.